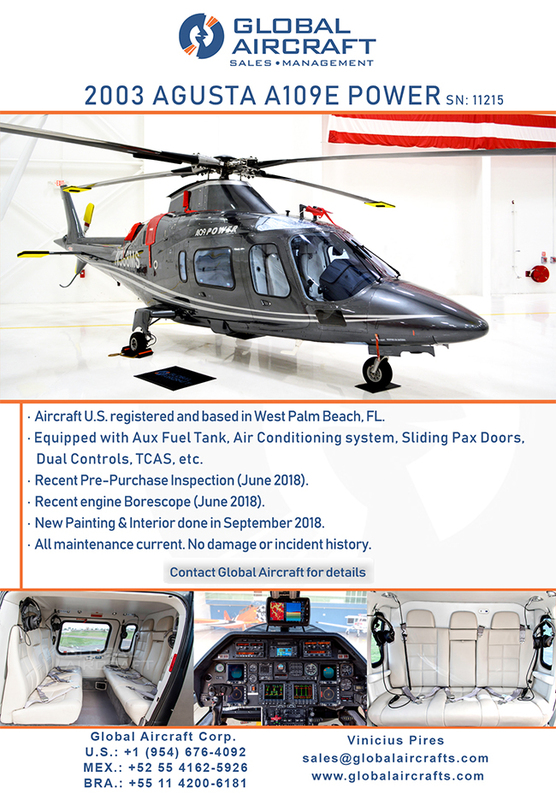 Global Aircraft | Impeccable 2003 Agusta Power for Sale! Impeccable 2003 Agusta Power for Sale! Equipped with Aux Fuel Tank. Air Conditioning System. Sliding Pax Doors, Dual Controls. TCAS. etc.